Applying for medicaid is not the first thing on our minds as we age. You may be reaching the point in your life where you are no longer able to care for yourself on your own. You need long-term care. But the cost is shockingly high, and you just can’t afford it. 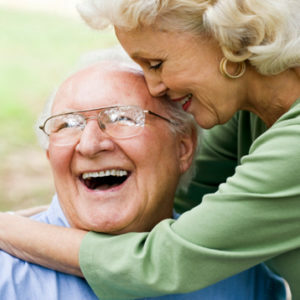 The average price of a nursing home in Florida is $8,500 per month! What are you supposed to do? You cannot go without medical care, but you also can’t pay for the care you need. You’ll be able to get the long-term, around-the-clock care you need without worrying about racking up a huge bill that your loved ones will be forced to cover. To get onto Florida’s LTCMC program, there are two things that you need to prove: that you require a nursing home level of car or you require an assisted living level of care and that you are financially eligible. CARES. Otherwise known as the Comprehensive Assessment and Review for Long-Term Care Services, CARES is Florida’s screening program to make sure you need a nursing home level of care. The assessment is handled by the Department of Elder Affairs, and involves an interview where you will be asked a series of questions about your medical conditions, ability to function, and what help is necessary. Income and resource limits. In order to qualify, you have to meet several specific rules and guidelines regarding your assets and monthly income. The only exception is if you receive SSI; those who do automatically meet the financial eligibility requirements. Otherwise, income and asset limits can be complicated. Under Florida law, you are only allowed a certain amount of monthly income and assets, and in general, both need to be quite low. But some assets, such as the value of one car, can be excluded. And Florida law also allows you to set up special trusts where you can set aside excess income in order to qualify. One thing that should be noted, however, is that Florida’s “share of cost” program will not cover long-term services. Even after you qualify and select a plan, you will have to show that any service you want is actually medically necessary in order for it to be covered. Of course, the requirements and laws regarding Medicaid coverage and qualifications are always in flux. That’s why it’s so important to work with a knowledgeable professional when planning out your Golden Years. Applying for Medicaid requires planning and potentially, some waiting periods. The best thing that you can do is start planning early. This way you give yourself the best chance at being ready when you actually need Medicaid, and will hopefully be able to avoid any problems associated with the 5-year look-back. Orlando elder law attorney Kathleen Flammia will be able to help you transfer and arrange assets, apply for benefits, and get you the financial assistance you need – so that you can get the care you need.